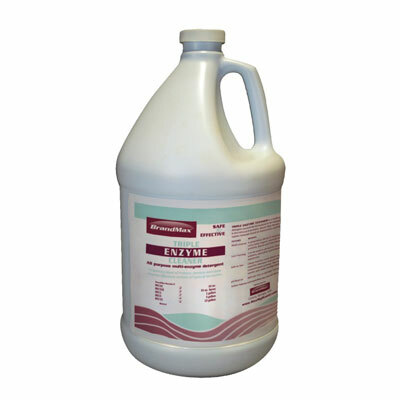 BrandMax recently launched its line of BrandMax Triple Enzyme Cleaners. This proprietary formula contains a unique blend of Protease, Amylase, and Lipase enzymes and also a variety of surfactants that work together with the enzymes to help solubilize and lift away all types of bio-burden. Our proprietary blend of enzymes and lavender fragrance will leave instruments cleaner and work areas refreshed.